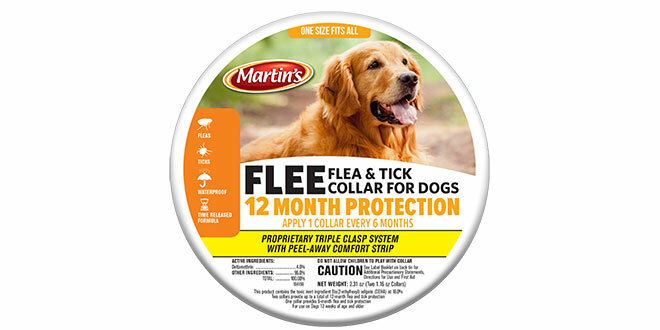 The FLEE Flea & Tick Collar for Dogs incorporates a patented insecticide-release technology. Friction releases the insecticide deltamethrin steadily onto the dog’s skin over the course of six months. Contains Deltamethrin 4.0% and includes two collars in every resealable tin, so your dog is covered for up to 12 months.